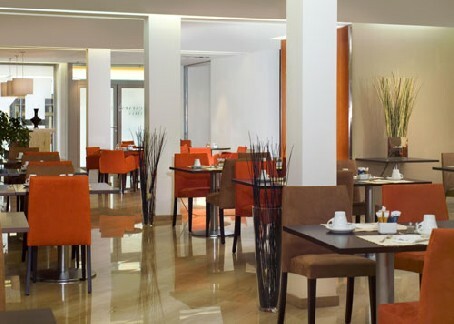 The Eurostars Embassy is synonymous with elegance and quality. Did you know that Vienna is nowadays considered as being the city with the best lifestyle in the world? This is corroborated on all the lists prepared by Mercer the prestigious firm that each year publishes a Quality of Living ranking. Ahead of Zurich, Geneva, Vancouver and Auckland, Vienna heads the ranking comprising all the large cities world-wide. For this reason, in a city like Vienna, a Eurostars establishment had to be present, central and elegant and of top quality for those guests in search of comfort, well-being and design befitting their expectations. The Eurostars Vienna is a hotel that has been able to assimilate the Viennese soul to perfection: deeply rooted in all that is classical and always open to renewal and to new expressions. The Eurostars Vienna, set in a hundred-year-old building, has recently been refurbished and remodelled from top to bottom so that its seven floors, its reception rooms and its 115 guest rooms shine with a modern, tranquil air to offer its guests the utmost well-being.